Sailing season has started in sunny weather, many of us have already had their first voyages. There’s 52 days to go until A. Le Coq 61th Moonsund Regatta begins! 21 boats from Estonia, Sweden and Russia have already entered, but we are expecting more and more participants! Shore programme is taking it's shape- this year we are celebrating a number of respectable anniversaries - Republic of Estonia 100, Estonian Yachting Union 90 Kalev Yachtclub 70 and Kakumäe Haven 1. 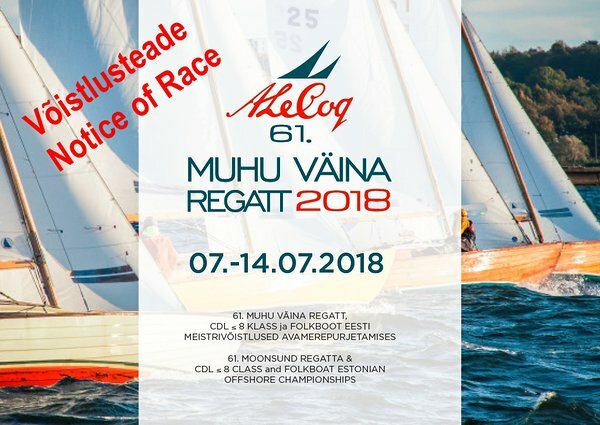 Come and become part of the biggest sailing event in Estonia!